This is just a quick update folks. Just wanted to share that I completed my fifth custom order this past week. 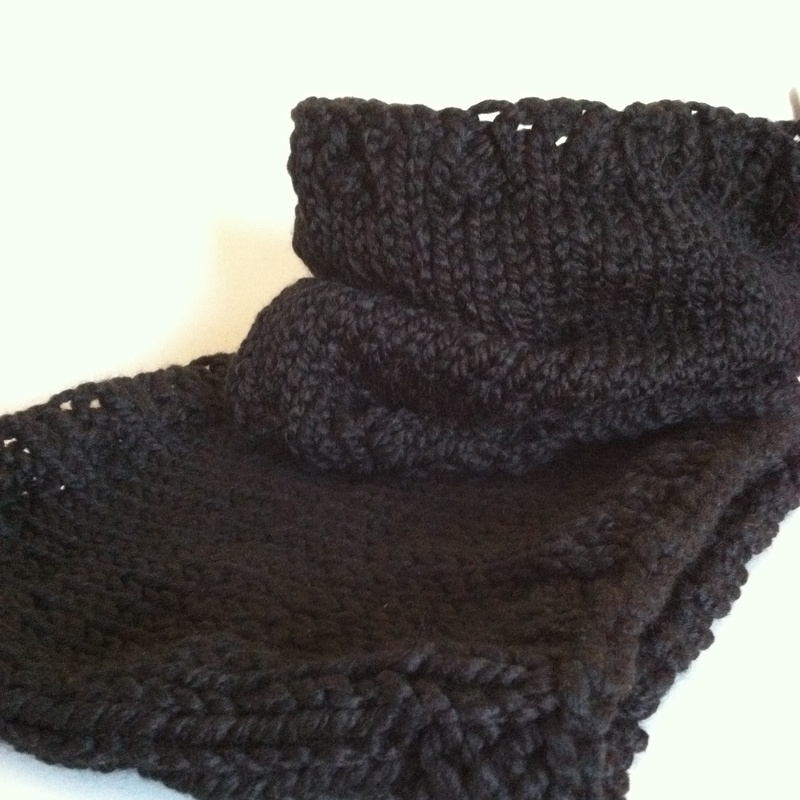 This time the order consisted of two more basic cowls in black. This is ironic twist of fate since I just completed a single custom order that was also a basic black cowl for the same customer. It seems lately that no sooner when I finish one custom order, another one is surprisingly waiting in the wings. By no means am I complaining. Getting some compensatioin to feed my knitting hobby is always a nice bonus. Plus, I am very flattered that my fellow coworkers and friends think my work is good enough to give away as gifts or to wear themselves. 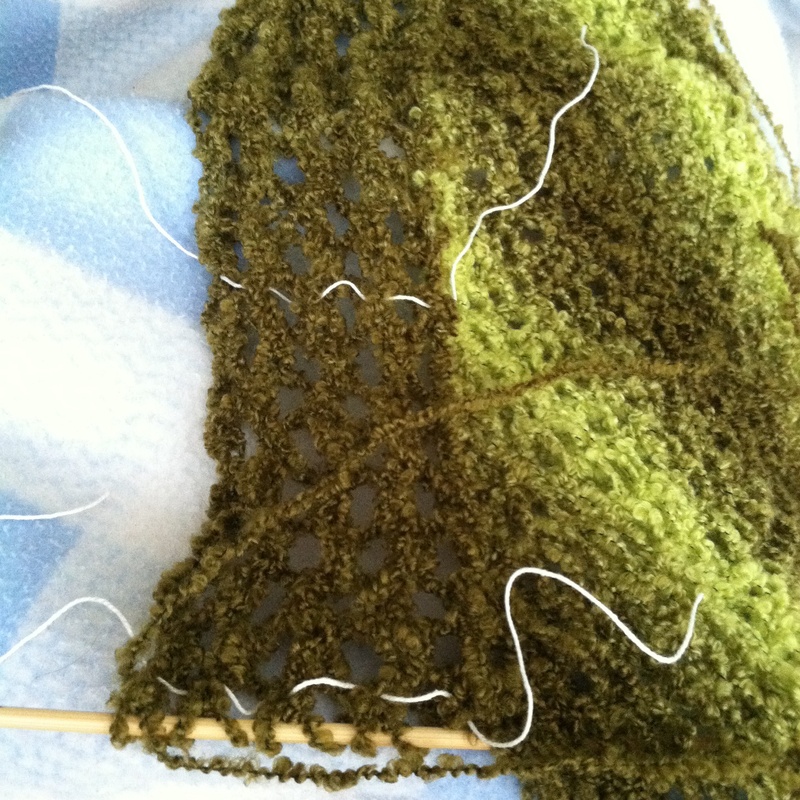 On another quick update, I keep working on my green shawl that I started last March before I put it in cold storage. Working on the shawl lace border has been both relaxing and frustrating experience at the same time. Unlike my very first knitted shawl that I also completed with a lace border, this one is giving me some problems. Either my first shawl was a complete fluke where I never had to frog any sections, or the yarn I chose for the second shawl project could be culprit. Either way I keep hacking at it; one little section at a time. On the bright side, I learned my lesson with my attempted lace scarf over the summer. All lace work needs life lines installed in several intervals. Now that I know this, frogging sections have become less of a heartache since I only have to frog back so far. Keep the orders coming! So proud of you and your work!! !